Yuuji is still a first-grade student, he is having a very hard time understanding what has happened to his mother and the fact that she won't be coming back. At the very beginning of the first episode, the voice of the late mother (played by Mimura) is reading from a picture book that she wrote for Yuuji before she died. 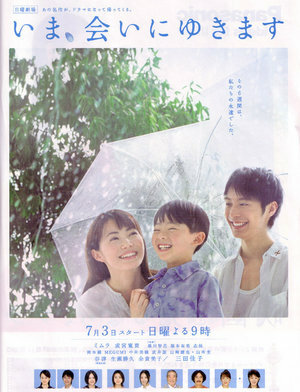 It is about a mother who dies, but promises to return when the rainy season comes. Yuuji believes in this story and thinks that his mother will come back when the rainy season comes. And surprisingly... she actually does.